New Year, new me, right? I decided sometime in 2017 to stop eating foods that make me feel horrible. That translated into eating more vegetables and less red meat, fried meals, and dairy. I wanted to kick this into full swing in 2018 so I went to my local Kroger to grab some fruit and snacks to keep at work so I wouldn’t make any bad eating decisions. 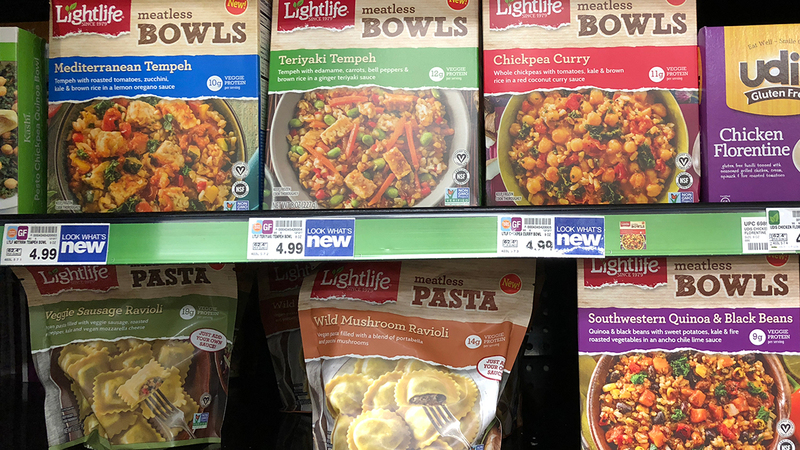 This included grabbing some frozen Lightlife veggie bowls. I picked up the Teriyaki Tempeh, Southwestern Quinoa & Black Beans, and Mediterranean Tempeh bowls. Over the course of several days, I tried each bowl (and went back for more). I wanted a light meal one night before enjoying a salad, so I opened up the Teriyaki Tempeh bowl. With 12g of veggie protein, I was interested to see how full I’d get and if I’d actually like the taste. I was concerned that the teriyaki sauce was going to be extremely overpowering to make up for the weird frozen tempeh flavor. Well, there was nothing to worry about. The teriyaki lightly flavors the bowl. 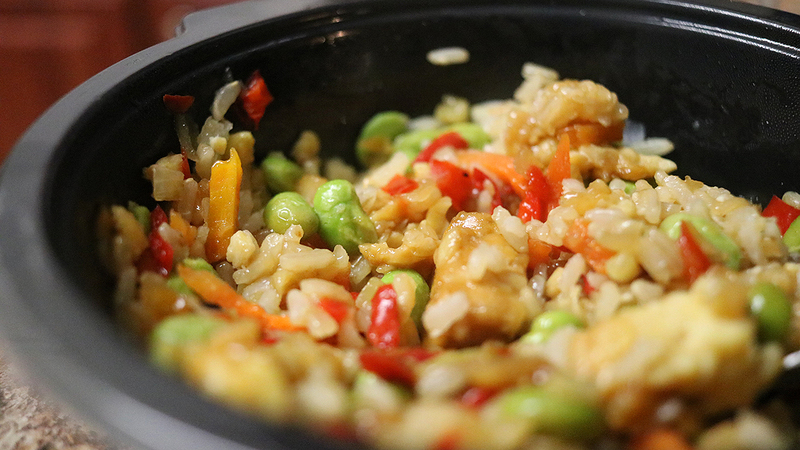 The tempeh takes on a taste similar to chicken. I’m used to that sort of flavor, so I was pleased with the taste. It was just enough food to hold me over about 30-45 minutes, so I would probably eat this again as a snack around 11 am. It was mid morning and I was ready for lunch, but it wasn’t quite lunchtime yet. I remembered I brought my Southwestern Quinoa & Black Beans bowl with me. I fell for this bowl after first bite. 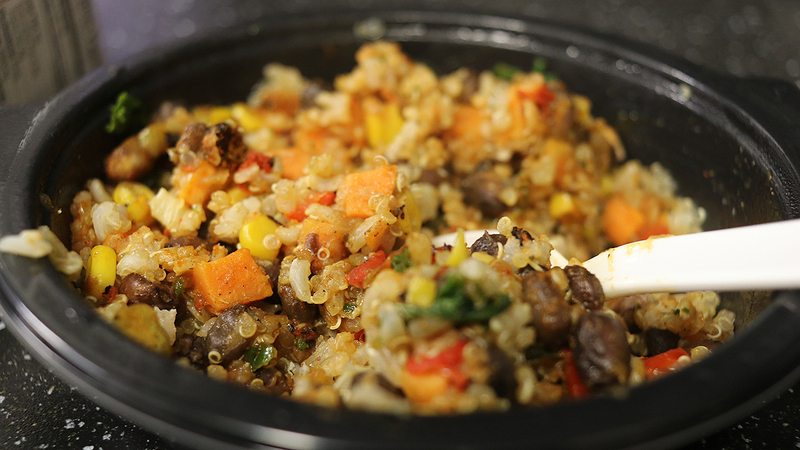 The sweet potatoes and ancho chile lime sauce mixed with the quinoa and beans made for SUCH a tasty bowl! And for only 9 grams of protein, I was felt fuller than I felt after eating the Teriyaki Tempeh bowl. I went back to Kroger the next day to find that they were out of this bowl, so I went to another location and purchased two more. 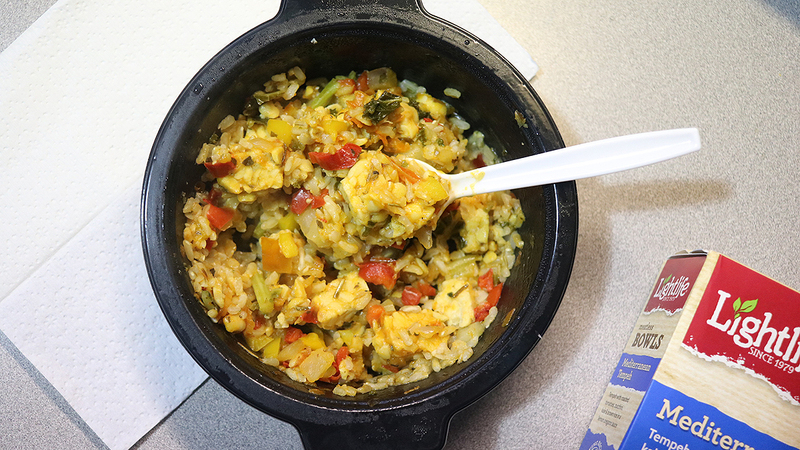 The same day I purchased my additional Southwestern Quinoa & Black Beans bowls, I also picked up the Mediterranean Tempeh to eat as a midday work snack. The oregano sauce reminded me of spaghetti which made for an interesting taste. Out of the three sauces I tried in the bowls, this one had the strongest smell and flavor. The vegetables and tempeh played background singers to the sauce. I probably wouldn’t buy this bowl again, but I wouldn’t be opposed to eating it. 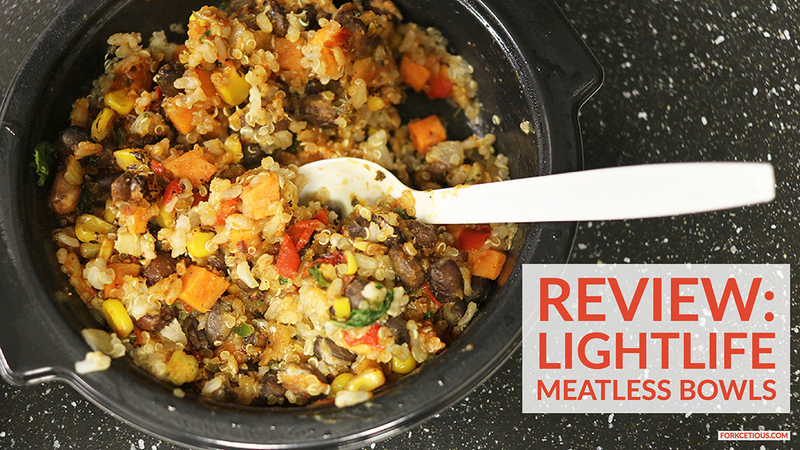 I can honestly say that I am a fan of Lightlife’s meatless bowls. I have boasted about the Southwestern bowl to anyone that’ll listen. I also grabbed one of their veggie ravioli bags and can’t wait to try that in the near future. 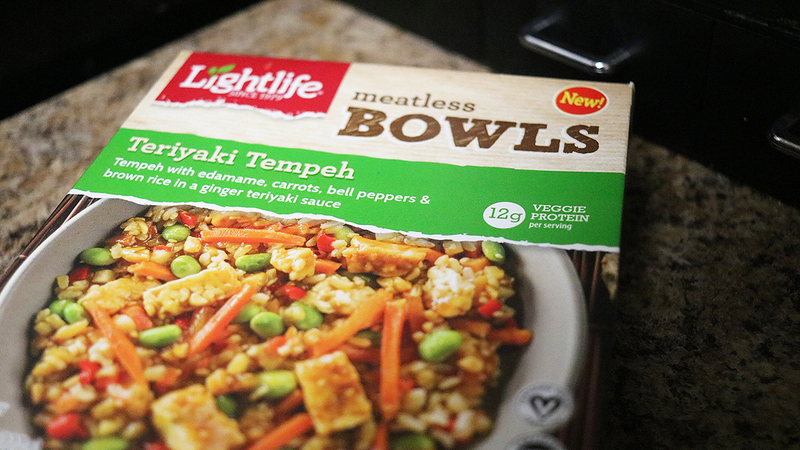 For anyone that is in need of a decent, filling snack that’s less than 350 calories, I’d highly suggest a Lightlife bowl. Disclaimer: This post was sponsored by Lightlife.